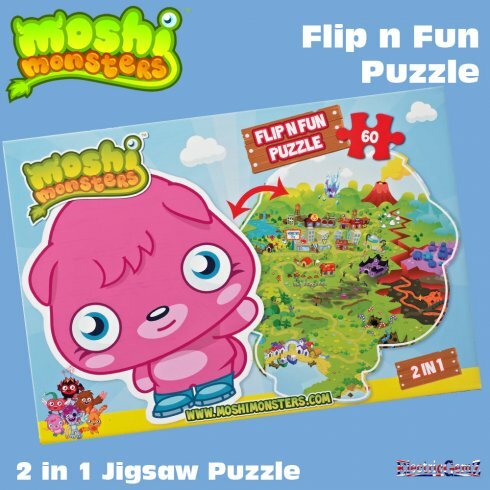 A fun jigsaw puzzle featuring your favourite Moshi Monster Poppet - then flip it over, start again and you have a great scene of the Moshi Monsters homeland! 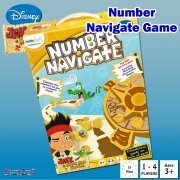 Suitable for ages 6+, this shaped jigsaw puzzle has 60 big, double-sided pieces forming a shaped puzzle. 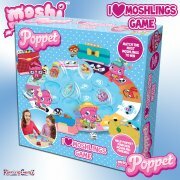 The two sides are well contrasted, making this a challenging, but not too difficult fun taskfor little hands. 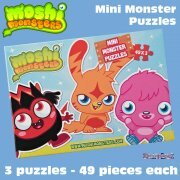 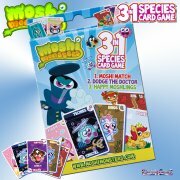 Moshi Monsters Flip n Fun 2-in-1 Jigsaw Puzzle comes in a brightly coloured, sealed box measuring 30cm x 21cm, and is one of a series of Moshi Monsters puzzles available from our Online Shop.